For a ‘Physics: Electricity and Magnetism’ course, my partner and I designed and executed a classroom lesson and activity for third graders. Through easily comprehendible demonstrations, we showed them the principles of electricity and magnetism in order to explain how a motor worked. 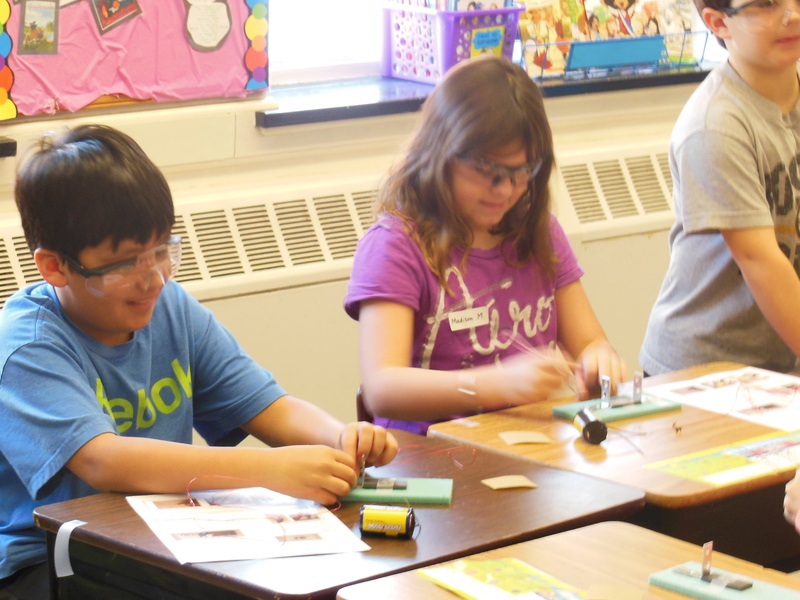 Then each student built their own motor by putting the principles they just learned into action. 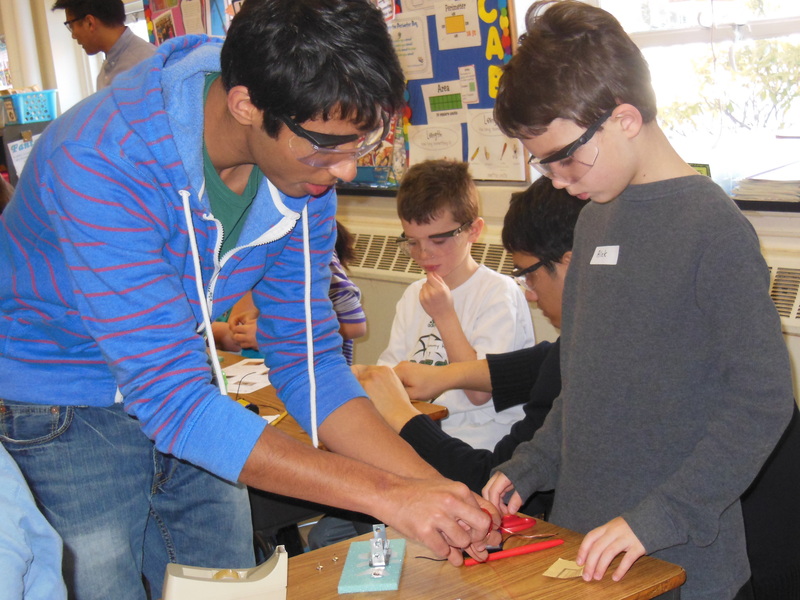 By the end of the lesson, the students had a basic understanding of the workings of a motor. We ran this curricula for three classes. 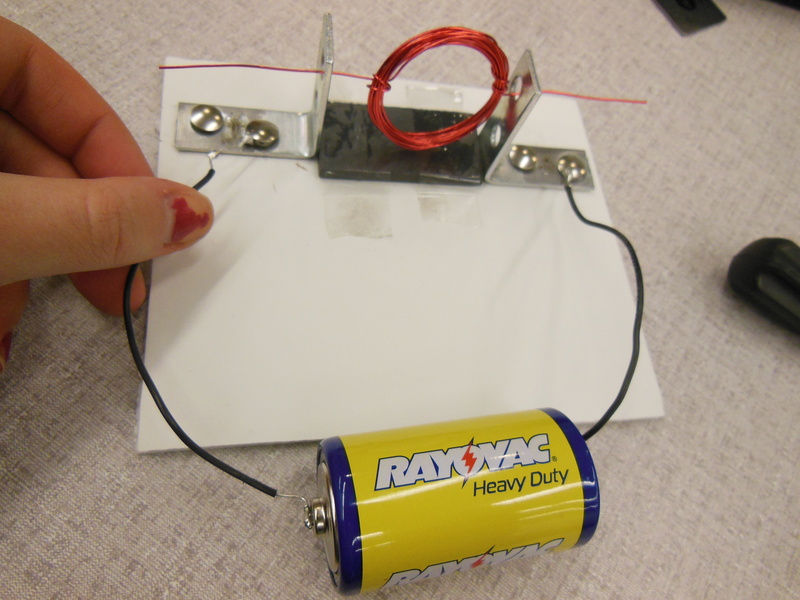 Above, you can see an example of the motor that students built using the activity instructions, linked below.